Honda is collaborating with National Hockey League (NHL) in “Outdoor Rink”, a television commercial featuring former NHL pros teaming up to play hockey with local kids on an outdoor rink in Minnesota. 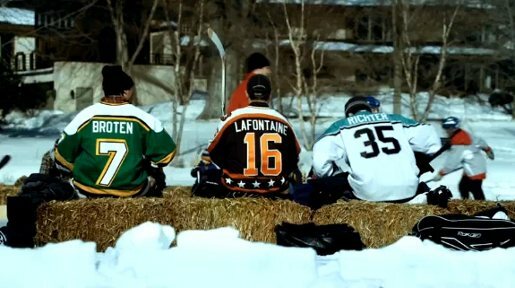 The three players are Pat LaFontaine, formerly of the New York Islanders, Buffalo Sabres and New York Rangers, Mike Richter, who led the NY Rangers to the 1994 Stanley Cup and played on the team for 13 seasons, and Neal Broten, who played on the gold medal-winning 1980 Winter Olympics team and with the Minnesota North Stars, Dallas Stars, New Jersey Devils and Los Angeles Kings. Honda’s Pilot, Ridgeline and all-new Accord Crosstour are showcased. “Outdoor Rink” will air on Versus during the NHL playoffs on 4/14 and will first air on NBC on 4/17. The new spot will run with existing NHL spots (“5am Practice,” “Reliability”). It will also run on NHL.com. Outdoor Rink was developed at RPA (Rubin Postaer and Associates), Santa Monica, California, by chief creative officer David Smith, creative director/art director Joe Baratelli, creative director/copywriter Pat Mendelson, agency producer Lyndsey Wilson. Filming was shot by director Mardi Minogue via Tuesday Films with producer Kammie James and director of photography Don Davis. Editor was Mark Goodman at The Reel Thing. Colorist was Mark Gethin at The Moving Picture Company. Music was composed by Jonathan Elias at Elias Arts, with executive producer Ann Haugen. Audio post production was done at Lime Studios by mixer Loren Silber.